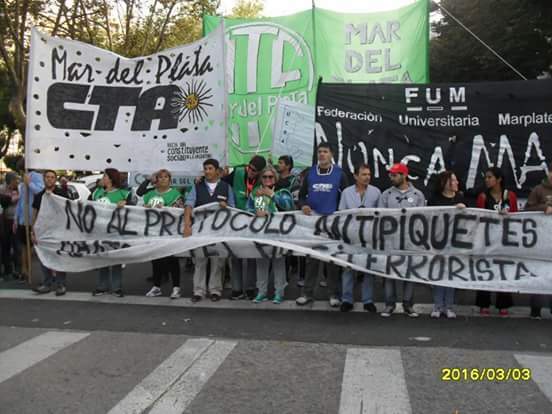 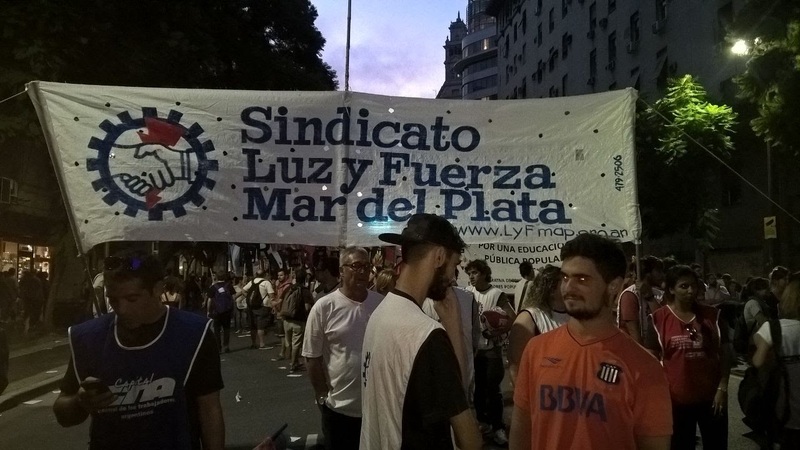 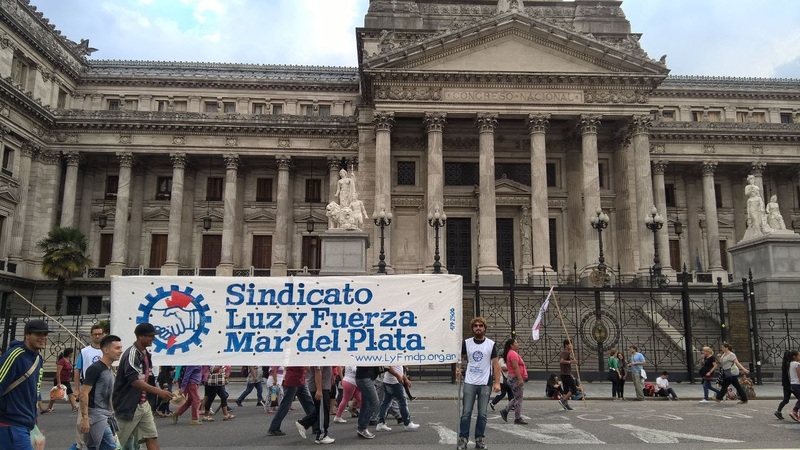 The Mar del Plata “Luz y Fuerza” (LyFMdP) union, marched last Thursday March 24th, 40 years after the last civic, military and ecclesiastical coup in Argentina, in the cities of Buenos Aires and Mar del Plata. 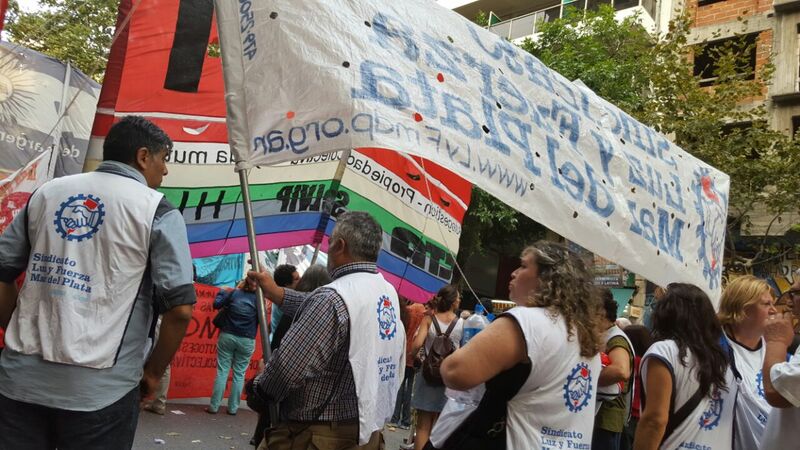 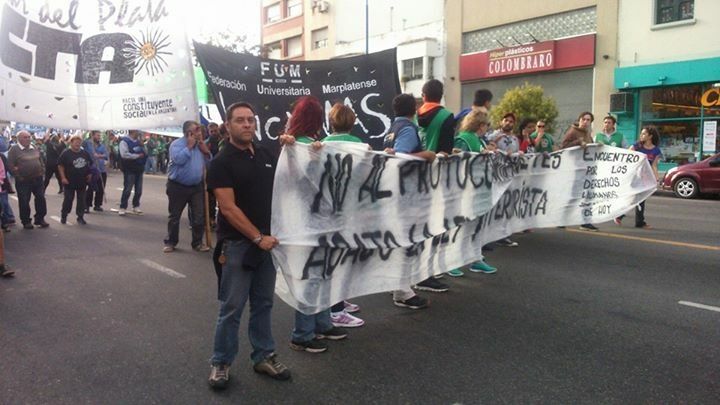 Our organization’s flags and banners were present at the march at the center of the Mar del Plata city and also at the heart of Buenos Aires City, where we went from the National Congress to the Plaza de Mayo. 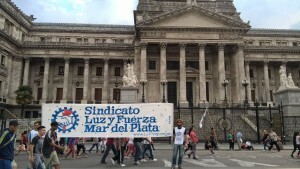 We marched in memory of the 30,000 detained and disappeared by the military dictatorship between 1976 and 1983. 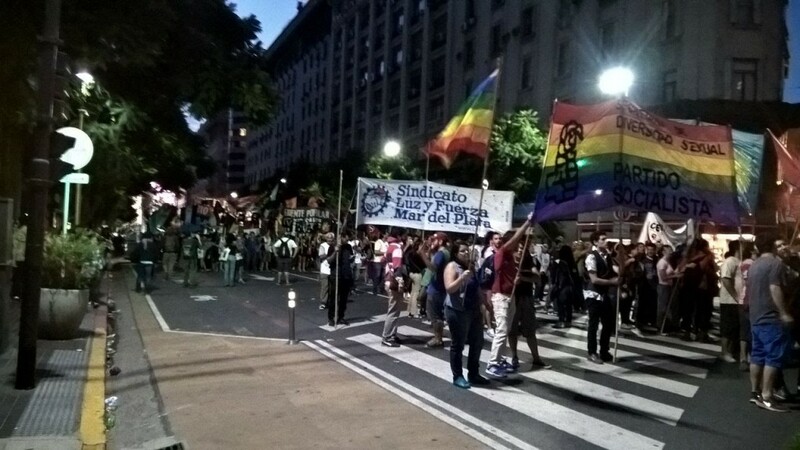 In Buenos Aires city as well as in Mar del Plata city, many people took to the streets to say “Nunca más” (Never again) to military coups in our country.